Millions of schoolchildren don’t have access to the educational resources that provide them with the right start in life. The device had to be robust enough for the extreme environments in which these children live, and it could cost no more than $100 to make. Millions of schoolchildren don’t have access to the educational resources that provide them with the right start in life. The MIT Media Lab and Nicholas Negroponte set out to address this need by expanding access to information through an affordable device that could be distributed to children throughout the world. 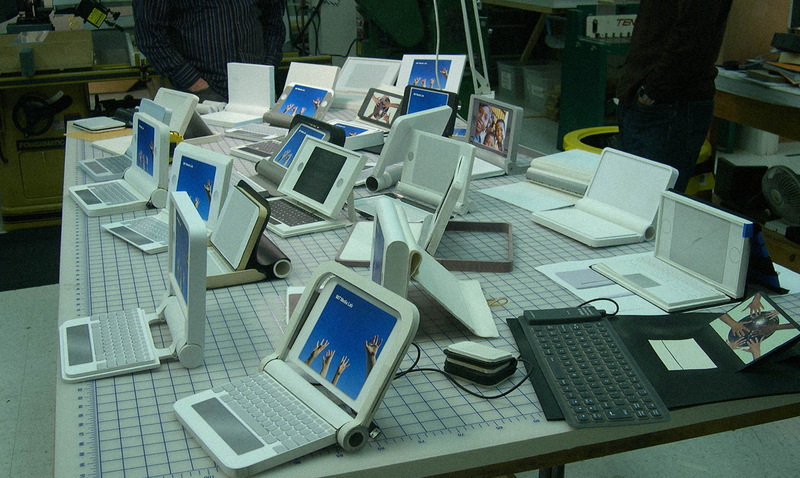 Tasked with designing the initial prototype for this device, Continuum faced three challenges: First, the laptop needed to address the wide range of use requirements for children in developing countries. The device also had to be robust enough for the extreme environments in which these children live, and it could cost no more than $100 to make. As always, Continuum’s team carefully considered the target users—in this case, young children. We gave special attention to the emotional aspects of the device. Rather than designing a product that looked inexpensive or secondhand, we focused on making the laptop visually compelling and unique, something children would be excited to use. 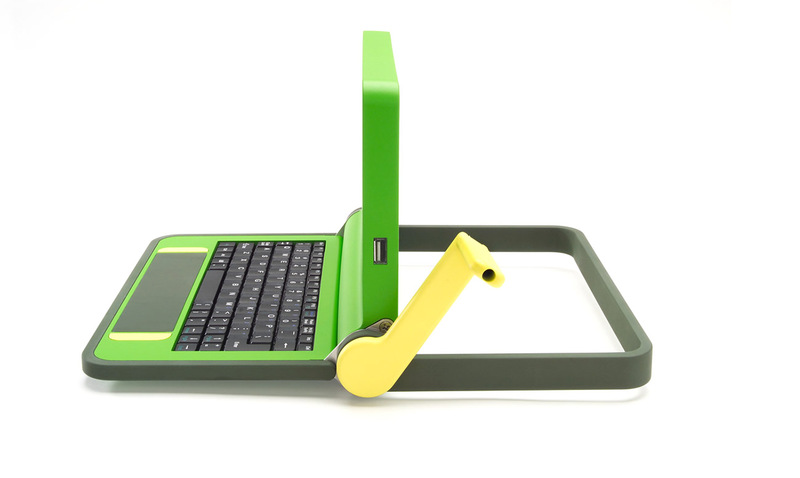 The laptop’s bright green color was intended to invoke a sense of cheer, while the dual antennae that enabled the network connection resembled a person with arms reaching overhead—a universal sign of joy. Inspired by the technical and budgetary challenges of the project, and motivated by a deep compassion for the target user, Continuum collaborated with MIT Media Lab to create an award-winning prototype of the hundred-dollar laptop. Not only is the device fun to use, but it consumes very little power. It’s also durable and waterproof, with affordable components that are easy to obtain if replacements are needed. In 2005, the mandate set forth by the MIT Media Lab—to create a fully functioning and highly robust laptop for just $100—was a bold one. When adjusted for today’s technology and inflation rate, this equates to building an equally sophisticated device for $25. 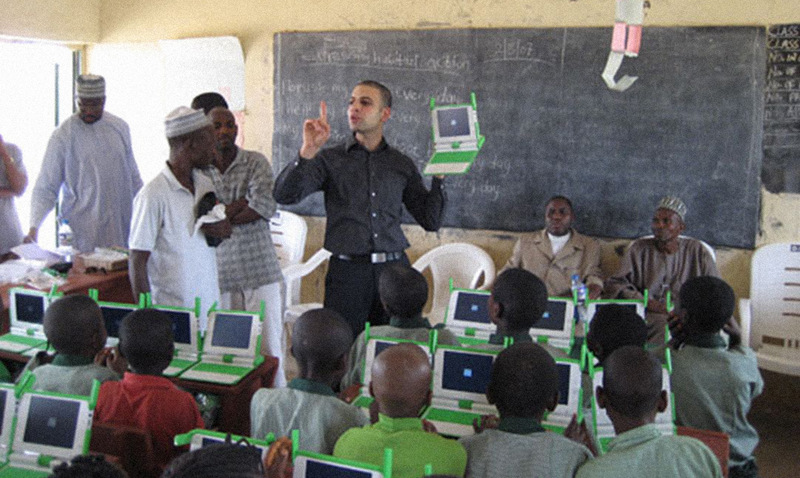 Continuum’s contribution springboarded the establishment of a non-profit organization called One Laptop per Child (OLPC). This non-profit, created and led by MIT Media Lab founder Nicholas Negroponte, develops a low-cost laptop called the “XO Laptop” to revolutionize how we educate the world's children. 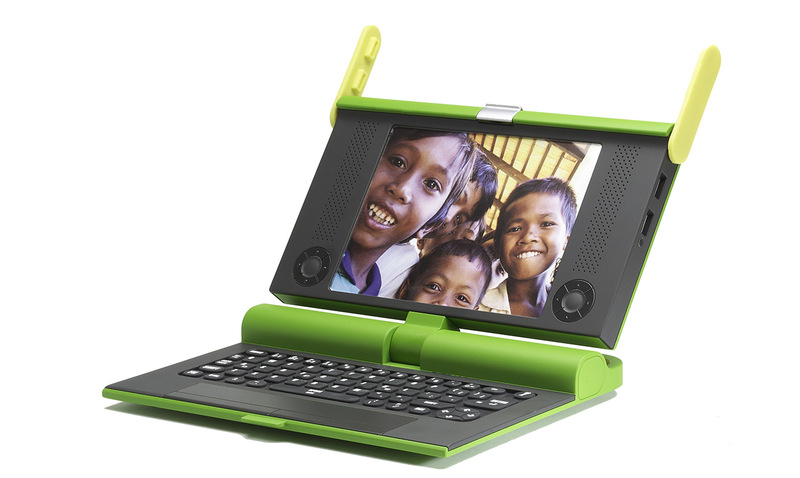 Since its founding, OLPC has produced XO laptops for more than 2 million children worldwide. PNNL and Continuum imagine first response in ten to fifteen years. Working with GRIT to envision a new iteration of the Leveraged Freedom Chair.